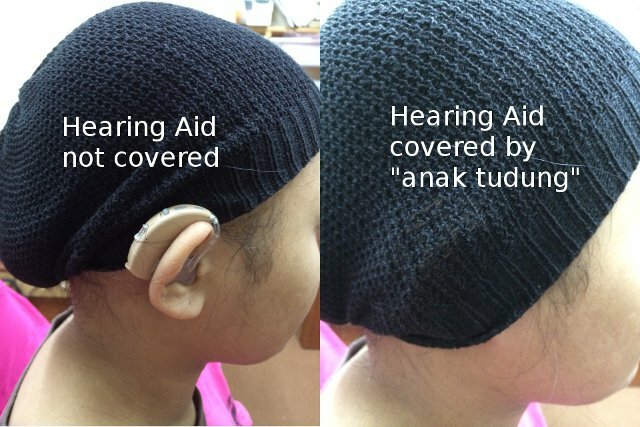 Hiding one’s hearing aid seems to be a goal to most first time hearing aid users. Back when hearing aids were first invented, the aim was to have better hearing. 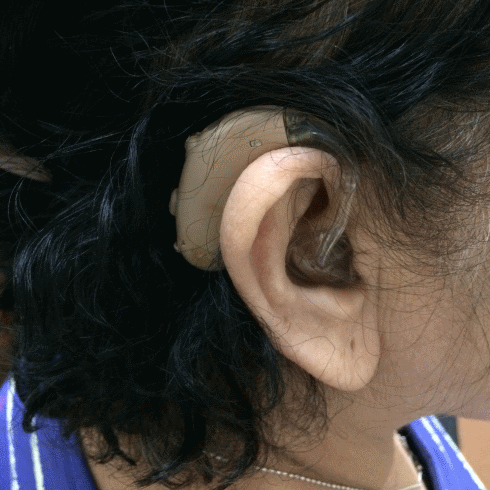 But as time progresses, people with hearing impairment may have seemed to missed the point of having hearing aids. 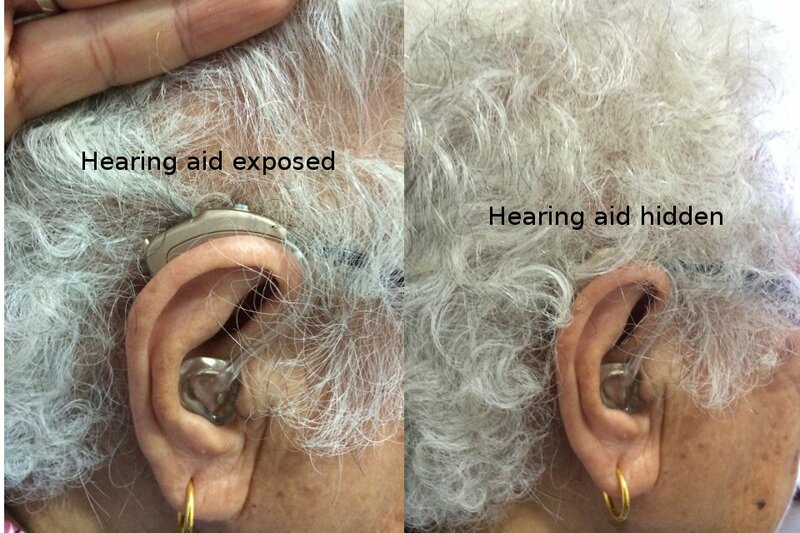 This may sound critical of hearing aid users but this is the fact. Hearing aids are designed primarily to help one hear better. Siemens has just launched their latest hearing instrument called the SIEMENS Binax that enhances one’s hearing even in the most demanding hearing situations. (Read about the SIEMENS Binax here.) They focus their research and development team to come up with solutions to the challenges faced by current hearing aid users. On the other hand, hearing aid manufacturers also focus on meeting the demands of their users. Manufacturers like PHONAK and OTICON have come up with hearing aids helping children to “own” their hearing instruments by making sure the hearing aids are bright and colourful. These users don’t focus on hiding hearing aids or making the hearing aids seem invisible. On the contrary, the hearing aids are designed to stand out. This is easily done for ladies who wear the “tudung”. The just wear their hearing aids under their scarves. This is most natural for ladies. Manufacturers have come up with a range of hearing aid colours to match the hair colour of their users. 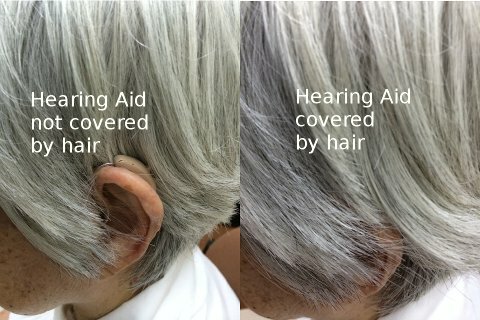 Black hearing aids for those with black hair and silver for those with white hair. Sometimes this does not need to be the rule. Here’s a lady with black hair but using a beige coloured hearing aid. (Well, beige does match the skin colour). Some manufacturers like SIEMENS make their hearing aids smaller like their SIEMENS Pure and even smaller SIEMENS ACE so that it is easier to hide. 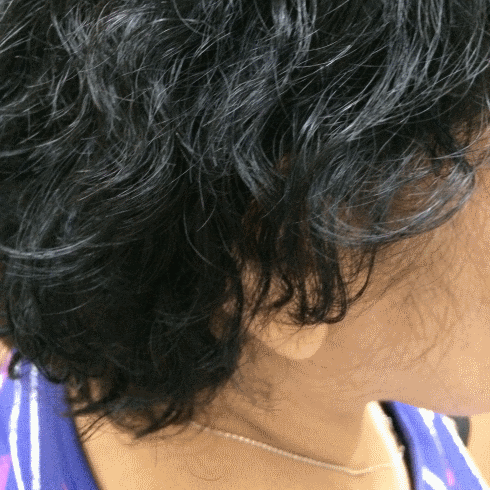 Here’s a user who shares her hearing aid hiding technique. 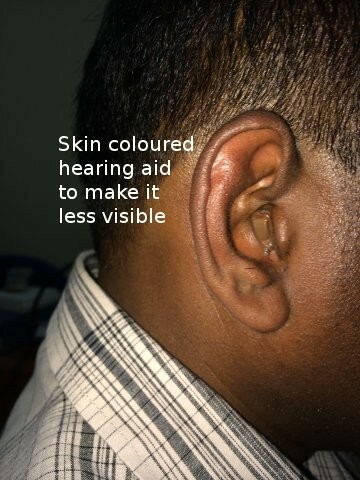 Having the hearing aids colour to match one’s skin tone also helps to make the hearing aid less obvious. This is the most common method employed. Make the whole unit really small and squeeze it in the ear canal. If one cannot hide the hearing aid, how about disguising it? Some manufacturers have come up with innovative ideas to hide their hearing aids in the open but making it look like hand-phone accessory. 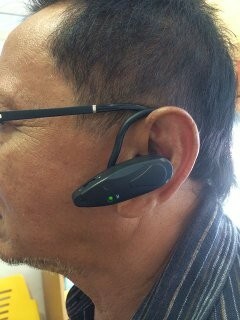 In the example below, the bluetooth-like device is actually a hearing aid. We trust that you have had some ideas on how to have an invisible hearing aid by above options. If you use other methods, please share with us. We love to share ideas to help people want to wear their hearing aids. 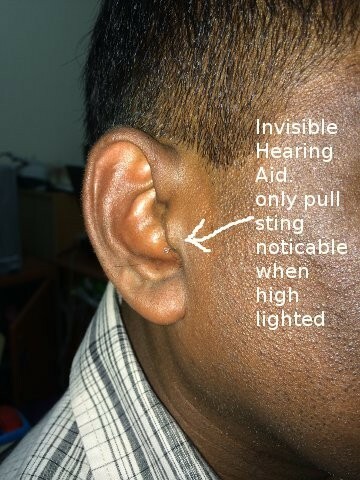 This entry was posted in Hearing Aid News and tagged invisible hearing aid by admin. Bookmark the permalink.